Interested on how to get involved ? Come join us by contributing as a company or by an individual. Direct Selling Education Foundation is a non-profit organization that relies completely on donations to bring our mission to life. For direct selling companies, DSEF is a separate foundation, not a part of (like the Direct Selling Association). As a result, there are no set dues associated with DSEF. Hence funding can be provided by companies or individuals who simply believe in the work of the Foundation. 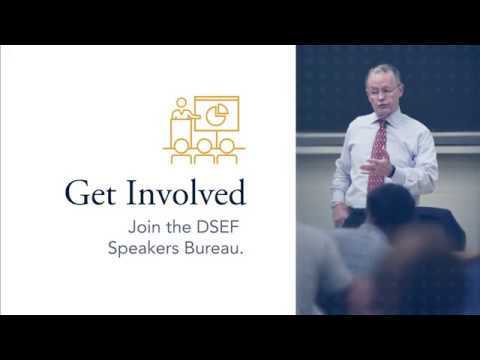 You can know more about DSEF from our speakers below. Get involved by choosing any of the options below to learn more about our supporters and to get started yourself. Our major contributions are from direct selling companies who want’s to promote the education of students and the public by accurate understanding of direct selling. DSEF is completely funded by people and organizations who support the Foundation’s mission. Both member and non-member companies can contribute to DSEF (further you can check our Red Ribbon Contributor Recognition). DSEF recognizes those who invest in our mission often and prominently. You can check our recognition of our donors. Many individual donations are from executives and corporate members of direct selling companies as well as supplier member companies. The Foundation appreciates the people donating to DSEF. We welcome individual contributions no matter what the level of contribution made, it helps DSEF in many ways. Circle of Honor was created in 1988 and recognizes industry leaders, academics, and consumer advocates. You can check our circle of honor page for contributions made through personal efforts and commitment for DSEF mission.